A spectacular area stretching over more than 26,000 ha in China's Hunan Province, the site is dominated by more than 3,000 narrow sandstone pillars and peaks, many over 200 m high. Between the peaks lie ravines and gorges with streams, pools and waterfalls, some 40 caves, and two large natural bridges. In addition to the striking beauty of the landscape, the region is also noted for the fact that it is home to a number of endangered plant and animal species. S'étendant sur plus de 26 000 ha dans la province du Hunan, le site est dominé par plus de 3 000 piliers et pics de grès à quartzite dont beaucoup ont plus de 200 m de haut. Il se caractérise aussi par la présence de torrents, de gorges, d'étangs et d'une quarantaine de grottes, ainsi que de deux très grands ponts naturels. À l'extraordinaire beauté des paysages s'ajoute le fait que la région abrite un certain nombre d'espèces végétales et animales menacées d'extinction. يمتد هذا الموقع على مساحة أكثر من 26000 هكتار في مقاطعة هونان ويعلوه أكثر من 3000 عمود وقمّة من الحجر الرملي ذات الحثّ الصواني التي يتعدى الكثير منها ارتفاع 200 متر. كما يمتاز بوجود السيول والمضائق والمستنقعات وحوالى أربعين كهفاً، إضافةً إلى جسرين طبيعيين كبيرين. يُضاف إلى جمال الموقع وجود العديد من الأصناف النباتيّة والحيوانيّة المهددة بالإنقراض في هذه المنطقة. Живописная местность площадью более 26 тыс. га, находящаяся в провинции Хунань, украшена высокими песчаниковыми пиками, которых здесь более 3 тыс. Эти пики, высота которых превышает 200 м, разделены глубокими ущельями с горными потоками, озерами и водопадами. Здесь есть также около 40 пещер, а также два естественных каменных моста. В дополнение к исключительной экзотичности эта местность имеет значение и как убежище для исчезающих видов растений и животных. Este sitio de la provincia de Hunan se extiende por una superficie de mí¡s de 26.000 hectí¡reas. Posee mí¡s de 3.000 pilares y picos de arenisca de cuarzo, muchos de los cuales se yerguen a mí¡s de 200 metros de altura. Sus numerosos torrentes, barrancos, desfiladeros y grandes remansos de agua, así­ como la presencia de unas 40 grutas y dos inmensos puentes naturales, imprimen al paisaje una belleza extraordinaria. Ademí¡s, la región alberga numerosas especies vegetales y animales en peligro de extinción. Wulingyuan is an island of nature within a heavily populated agricultural region. A spectacular area stretching some 26,400ha in China’s Hunan Province, the site is dominated by more than 3,000 narrow quartz sandstone pillars, many over 200m high. Nestled within its towering peaks lie ravines and gorges with streams, pools and waterfalls, two large natural bridges, and some 40 caves. Impressive calcite deposits are a notable feature within these caves. In addition to the striking beauty of the landscape, including spectacular jagged stone peaks, luxuriant vegetation cover and clear lakes and streams, the region is also home to a number of endangered plant and animal species. Criterion (vii): The huge number of sandstone columns and peaks—more than 3,000—are spectacular. These, coupled with other land forms (natural bridges, ravines, waterfalls, streams, pools and caves) and dense broadleaf forest, present an aesthetically beautiful landscape enhanced by the mists and clouds which frequently shroud the site. There are more than 40 caves and two huge natural stone bridges, one of which rises 357 m above the valley floor. At time of evaluation it was also noted that with additional information there could also be justification for inscribing this property under criterion (x), as the site provides important habitat for a number of threatened plant and animal species such as dhole, Asiatic black bear and Chinese water deer. The property has within its boundaries all the necessary elements demonstrating the natural beauty for which it was inscribed, as well as a buffer zone. Integrity issues noted at time of inscription include human pressure from use of the reserve by people living in and around it, and the intense pressure from visitors. Numerous tourist facilities also have an aesthetic impact on the natural values of the property. However many measures have been and are still being undertaken to address these issues. In 2005, the Comprehensive Plan of Wulingyuan Scenic and Historic Interest Area was revised and Wulingyuan World Natural Heritage protection regulations were established to ensure the long-term protection and conservation of the property. The quartz sandstone peaks, columns, karst landscapes, gorges, species, vegetation, ecology, and all other elements that contribute to be aesthetic value of Wulingyuan need to be strictly maintained and monitored. The number, seasonal distribution and activities of visitors is scientifically controlled and adjusted so that a dynamic balance between World Heritage, people and the economy is established. 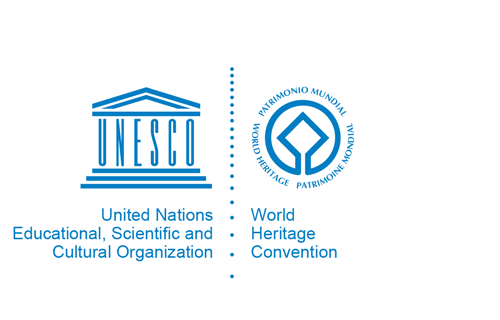 In order to deal with the challenges of tourism development and environment protection, special organizations have been established which monitor all the elements contributing to the aesthetic value of the property cited above as well as the numbers of visitors and their impact, air quality, water quality, environmental quality, electronic radiation, and noise in order to fulfil both the requirements of international conventions and national laws and regulations.